WINNER of Halloween Hop ! Thank you to everyone who visited and commented on my blog this weekend. Welcome to all new followers of my blog I really appreciate it. Congrats !!! You have one week to contact me at michelle@scrappinwithmybug or I will redraw. thanks again and have a beautiful day Everyone !!! Hi Everyone !!! 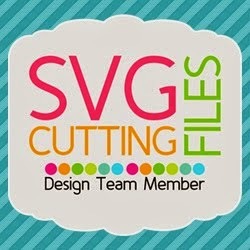 If you just came here from my friend Kim's super cute blog then your in the right place !!!! If not you can start at the beginning at Abby's HERE. If you are interested in this local class the cost is $20 the kit mailed to you including shipping is $24. You will however need a few supplies, that list is available by emailing me at michelle@scrappinwithmybug.com Kits are limited. SO now I'm sure your ooooogling over that super yummy twine in my project ??? 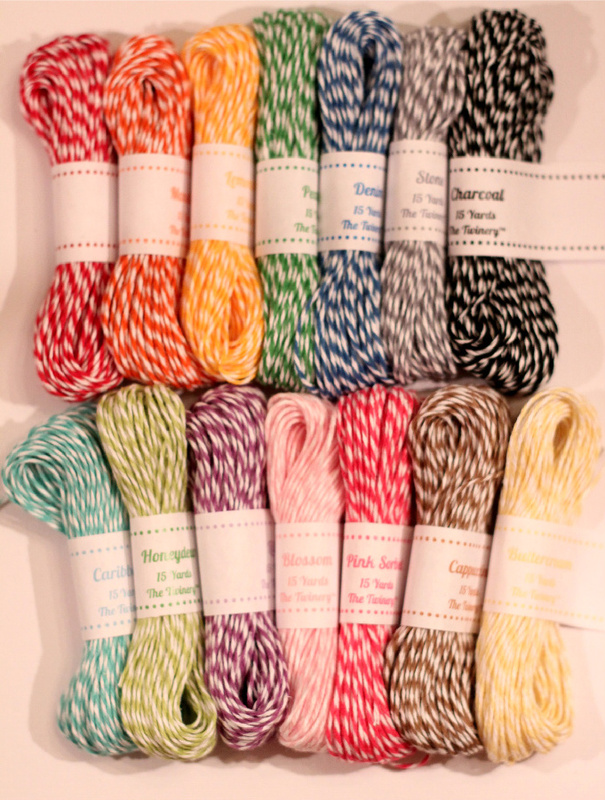 The Twinery has graciously given me ALL 14 colors to give to one of you !!!! If you've never tried the Twinery's twine it is absolutely AWESOME so fluffy !! 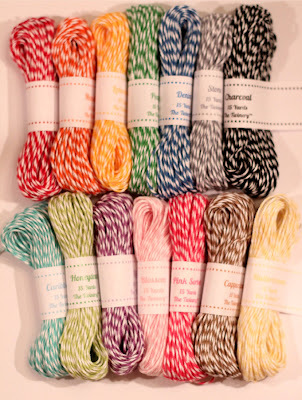 My other favorite part is they put the same ratio of white to color with they twist their twine unlike some others I have used.....which I LOVE !!! So please no more than 4 comments on this post per person, additional posts will be disqualified. Hi Everyone! Just wanted to share with you a few cards I made for friends. The cookie is from Sweet Shop and the sentiment from Pink by Design. I also used spellbinders the Twinery twine and the heart paper is glittered. I also put a "wobble" on the cookie and glossy accents for the chocolate chips so it will bounce around and be glossy !! thanks for stoppin by !! Hi Everyone! It's my DT day over at Pink by Design so today I created a card for you using the new Art Philosophy cartridge exclusive to CTMH (Close to my Heart). All cuts were from this cart even the shape of the card. I ♥ this cart because of all the shapes I can use for tags !!! My favorite part of all is I finally have a system to organize my stamps !!! So don't forget to watch the video ! Hi Everyone.......Today I have a Pink by Design sneak peak made by my 6 year old Lily......she really wanted to do a card with this! New stamps are being released soon I will have another sneak peak on friday !!! I ♥ my teacher blog hop ! If you just came here from Meighan's blog then you are in the right place! If not you can start at the beginning here. I created some cards for the teachers in the school for the PTA. I used a Greeting Farm stamp, Emma's My Creative Time sentiment stamp, DCWV paper, and bakers twine. 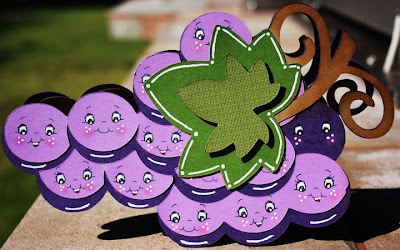 Blog Candy: Please become a follower and leave me a comment to enter to win a a cute flower patch stamp set by Making memories. Now on to the next stop to see what Sandra has created for you !!!! Thanks for hoppin by ! I participated in this weeks Peachy Keen challenge. It is a sketch challenge. I used the Blackletter and Everyday Pop up cards Cricut cartridges. The new Pink by Design stamp from the owl set, the new Halloween stack from DCWV and some yummy twine from the Twinery !!! The Peachy Keen face came the X-Large Critter Faces. Thank you all again soooo much for coming by my blog and the Peachy Keen blog this past week to support me and the projects I made!!! CraftyHaff please email me your info to michelle@scrappinwithmybug so I can get your stamps mailed to you !!! Today is my last day as a guest designer for Peachy Keen I ♥♥♥ ed it soooo much! It was a dream. 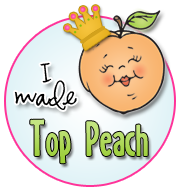 Thanks to Peachy Keen for picking me for an entire week !!! I truly had a great time and if you ever need me again (hint hint) LOL !!!! Today I got to participate in the Let's face it Friday challenge for this week. It is to design a shape card and using a Peachy Keen face..... yep I got a little carried away on the faces...LOL but I like how it turned out. I used my gypsy and cut the grape from the Preserves cartridge at 7" and the Peachy Keen faces from Wide Eyed Kids. 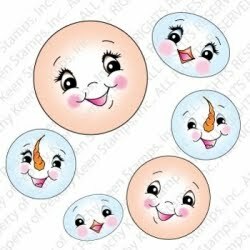 Peachy Keen has graciously donated a stamp set for me to giveaway all you need to do is leave a comment and a way to get a hold of you. You can enter everyday here and on the Peachy Keen blog...so a total of 10 entries this week !!! This is the super cute NEW Winter wonderland face assortment !!! Thank so much for being a part of my Peachy Keen week !!!! Day 4 of Peachy Keen !!! Hi Everyone !!! Thanks for visiting me for my week at Peachy Keen !! Today I wanted to use my newest cartridge Sweet Tooth Boxes when I saw the cut of the cupcake box my first thought was "that would look so cute with a Peachy Keen face on it! " I was a little hesitant about the cartridge but when I opened it I was shocked how simply and easy they made it. On each project they give you the size of what you should make your cuts !! Wish PC would of thought of this sooner. Assembling the box was easy as well, my only suggestion is to use terrifically tacky tape to attach the bottom. Thanks again for joining me this week !!! Day 3 with Peachy Keen !!!! I hope you've been enjoying my projects so far that I have created using the adorable Peachy Keen faces !!! I wanted show you that use can use them for just about anything ! Today I used big jumbo paper clips and cut flowers from Simply Charmed. I used Laughy Taffy for the pink flower, The Princess set for the orange flower and Happy Lashes for the purple. I cut a blank back as well and used hot glue to attach them. Day 2 Peachy Keen Guest ! I hold scrap nights at my house once a month and my friend Abby brought a bunch of scraps for us to look through. I saw this cute paper and used it as my inspiration ! The cut is from the Rock Princess Cricut cartridge I used the Peachy Keen face from Princess faces , the ric rac from Bazzil, stamp from Pink by Design and the cute hot pink and black twine from the Twinery! I also added stickles, button and white gel pen. Guest on Peachy Keen !!!! WHOOO HOOO It has finally arrived! I'm a guest designer for Peachy Keen !!! So this week I have created 5 projects, starting today I will post one each day on my blog and the Peachy Keen Blog. The first project I created was these cute little note card set. I used the Lacey square spellbinders for the frame of the card and cute out fruit from the cartridge Preserves. To make them cuter I added Peachy Keen stamps !!! For the peach (because there HAD to be a peach !!) I used the Princess set, for the lemon Wide Eyed Kids, and the Watermelon and the Blackberry from Happy Lashes.